A bridge is a device for supporting the strings and transmitting the vibration of those strings to the soundboard in order to transfer the sound to the surrounding air. Didn't like the plans for the bridge as mapped out in the book so I strayed a bit in design here... Still about the same amount of wood and the main items are identical. 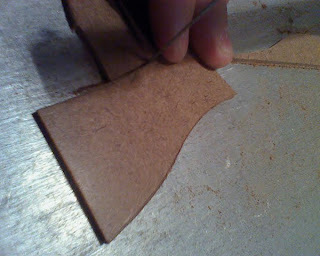 Just the shape will be slightly different. 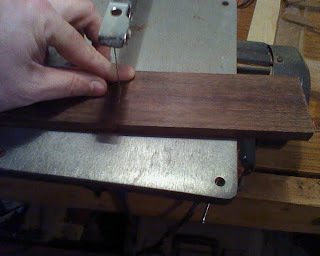 Cut out a board blank from a chunk of ebony – notice how dark this wood is? 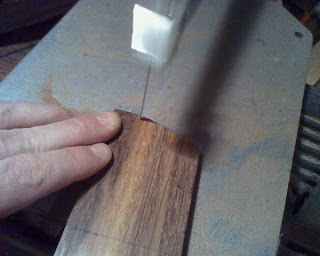 And sanding to thickness – the board is much lighter. It will darken after about two weeks. 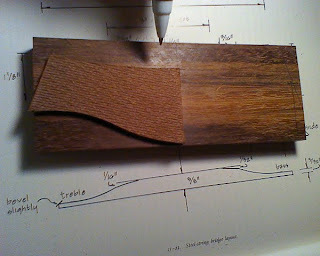 Drawing the template on the blank. 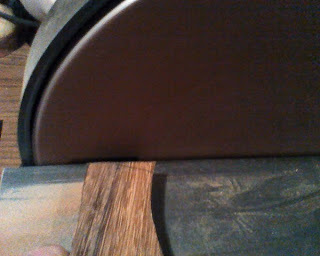 Sanding the bridge on the sander to shape. 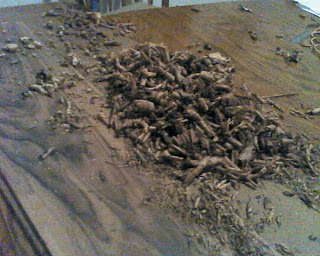 Thinning the ends, and rounding everything. 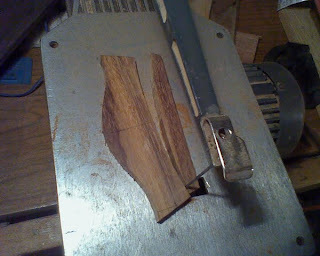 I used a block that was cut .5" over 6" for a guide. 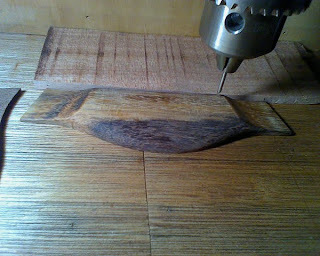 I also used a little trick I learned on youtube: If you need a certain size router bit but don't have one, just flip a drill bit over and grind it (the back side) down on an angle. 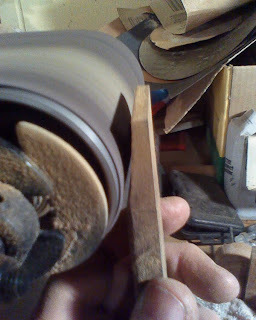 This makes an excellent router bit – just don't make too deep of a pass. This took about 6-10 passes. I didn't drill the holes because I was tired and didn't want to mess it up. 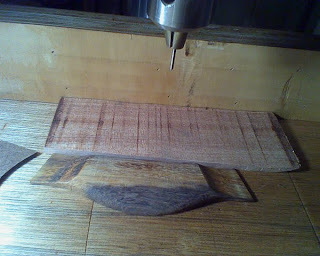 I'm going to drill these holes in a backwords V shape, instead of a straight line. 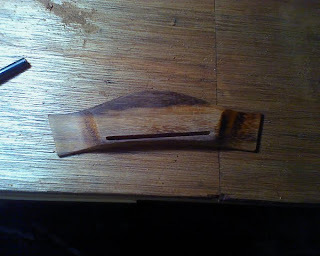 But here is a completed Saddle minus string holes. 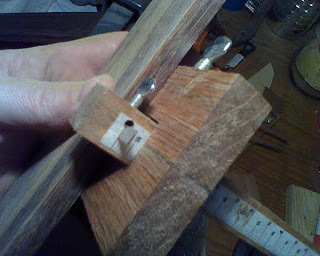 I will include more angle shots of this once the string holes are done.